NOTE: This was written by @Daniel Keller on the FAQs thread, but I think it deserves it's own thread. Thanks Daniel for this very detailed explanation. Select a location where the file should be stored to. Don't be confused you have to select a folder. You will get a message that it worked. The part we are looking for is the "secret" bit. Write it down. 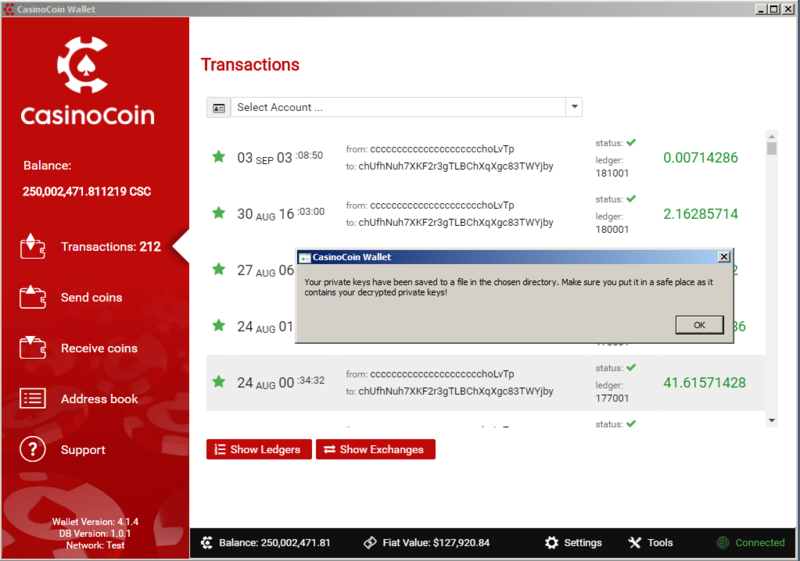 You will have to type it on your Mobile Wallet without the "". Head to your Mobile and open your wallet. On your main screen click on "+Add Account"
Now Click on "Add Existing Address"
Type in the secret you just wrote down, leave the next field blank, choose an Account Nickname and enter your password in the last field. Keep in mind that's not the PIN it's the password you chose when setting the wallet up. Once all info is in hit "Import Account". If all went correct you will get a message telling you so. You will be asked to take a backup. I recommend you do that. Once that's done just log out from your wallet and open it again. If you open your wallet now, you will see the account you just imported. NOTE #2: Here is a Video from @Wenusch also!! @Daniel Keller, Can you pin this thread so it can stay up there like the important ones?? I think this is very very important information!! I am naked, but have no worries why you all worrie? Sis, Sis, Sis I feel so related to you and your way of thinking. Just plain connection. Like I do, You! See you in Vegas at 30 cents for the Moonstravaganza! That happens when all is shared, and there is no return, except back to The Future. Steel a Kiss, I do. I think @admin should be able to pin this. Any mod should be able to do. I can't. @Chewiecoin!! Please Pin or Lock this thread so it can stay up there with the Important ones!! Hey @LeGonze this is already in the FAQ thread which is pinned and locked do we need to pin this one too? Im worried we will start having too many pinned threads. Well, I had a hard time looking for this info. I checked a lot of threads including the FAQs one, but did not scroll down because the main post did not had it. I mean, it's not really a FAQ but it's a very important matter. I think it deserves it's own Pin Thread, wich will make it easier to find for new members. 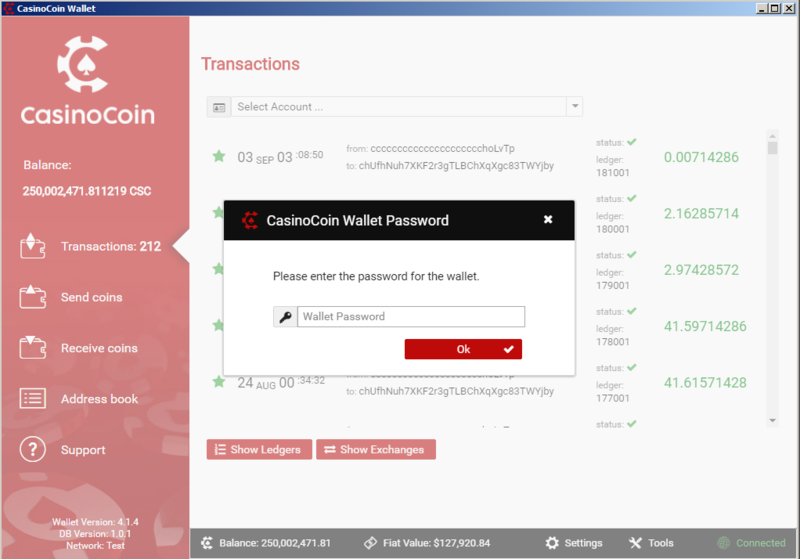 You can also create a wallet in the mobile app (android). Retrieve the private key by clicking the secret button and providing the apps passphrase. 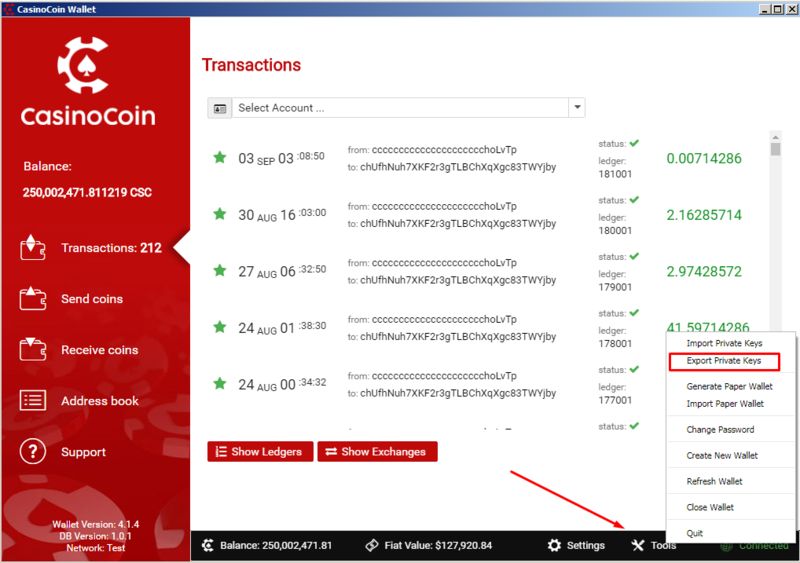 Then you can use the secret key to import the wallet into the desktop version.